"The Holy Rosary is the storehouse of countless blessings. " 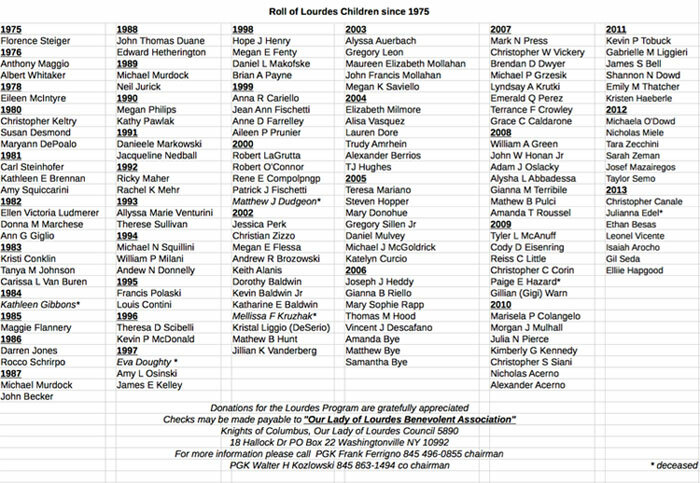 The enclosed information is to assist the Washingtonville Knights of Columbus in selecting a deserving catholic child to make a pilgrimage to the shrine of Our Lady of Lourdes, in Lourdes France. 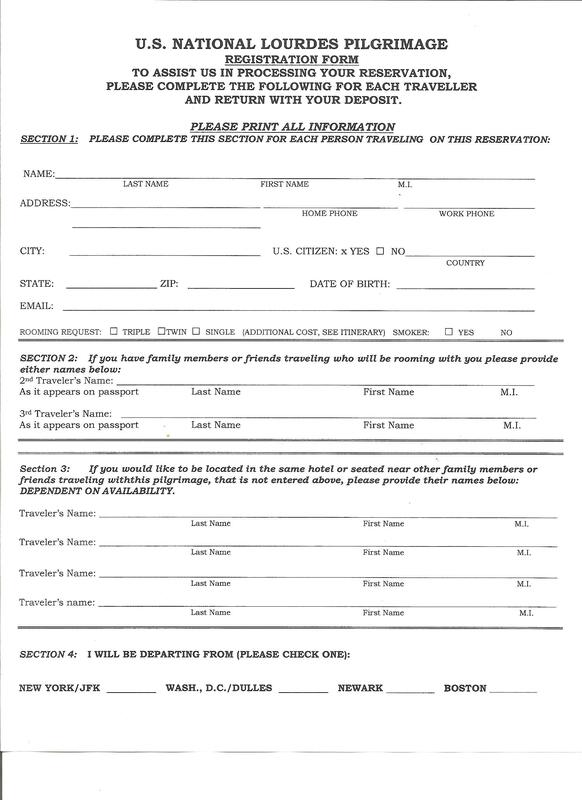 Please fill out this application to have your chiled considered for the pilgrimage. 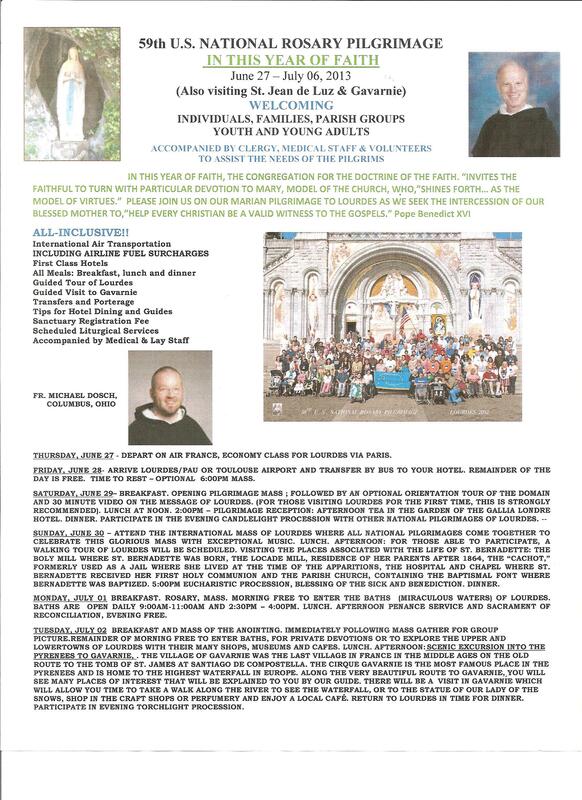 To obtain a copy of the posters of The Knights of Columbus 60th Rosary Pilgrimage please read the following. 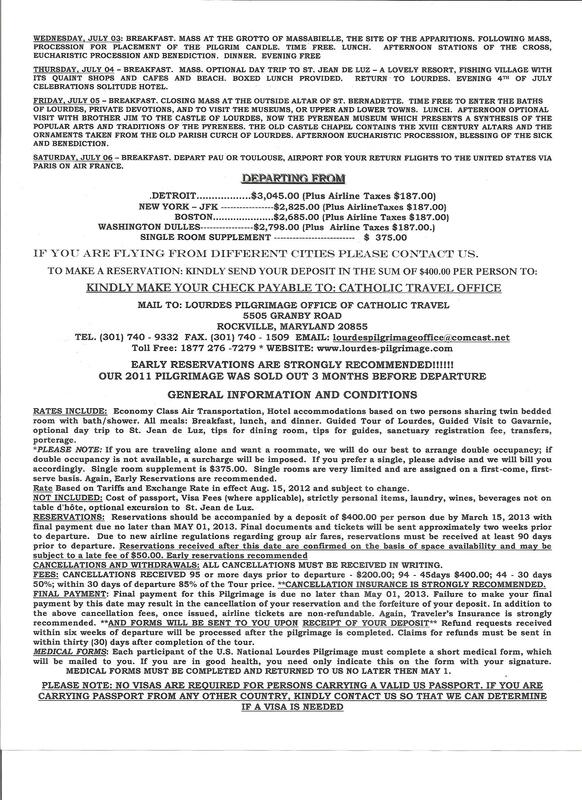 To assist us processing you reservation, please complete the following two forms for each traveler and return with your deposit. 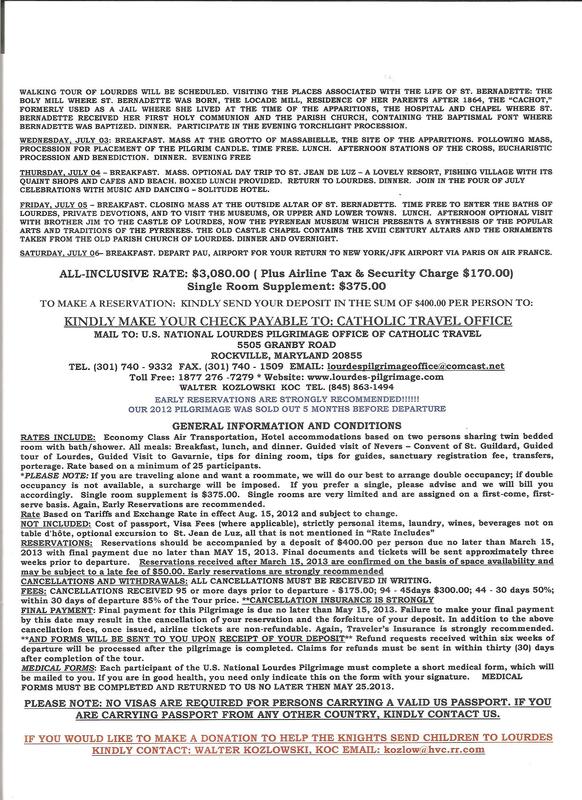 For more information on The 60th US National Rosary Pilgrimage please read the following. 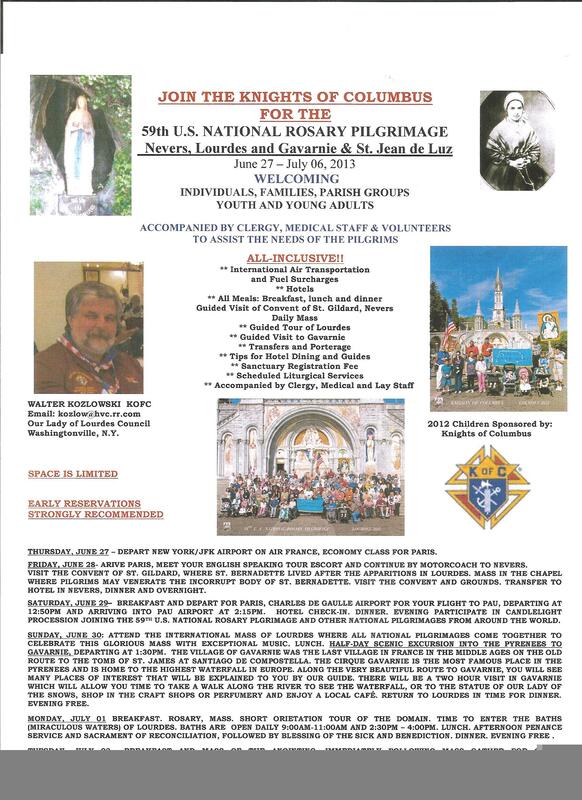 For more information on The Knights of Columbus 60th Rosary Pilgrimage please read the following. 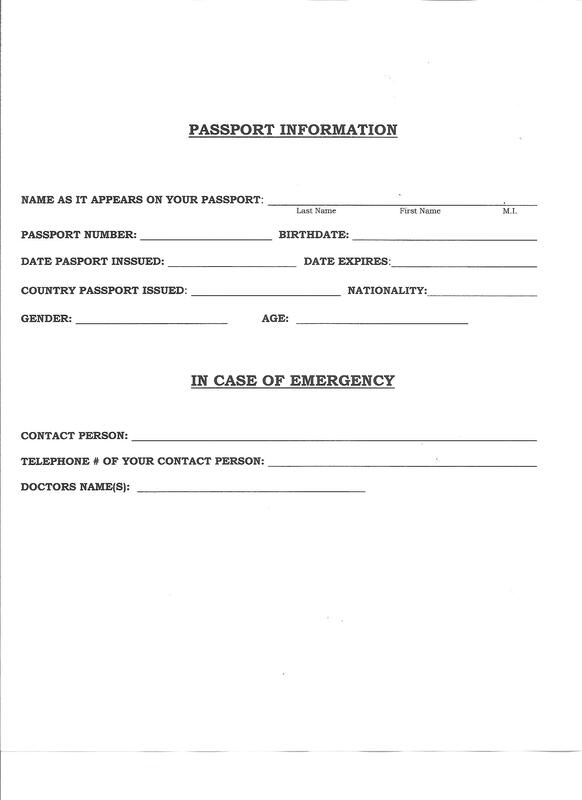 To obtain a copy of the Prayer Petition download the following. Complete a prayer petition and email to Walter H Kozlowski to bring to the grotto in Lourdes.